We all live in constant anticipation for “the next big thing” and it can mean anything from the latest blockbuster to the next model of automobile. Tech giant, Apple, is no stranger to this phenomenon after successfully launching their series of i-products. With the development of the Apple car on the horizon, Apple is ramping up excitement in the meantime with the hotly anticipated Apple Watch. This time piece doubles as a mobile device designed to sync up with most of your other devices. 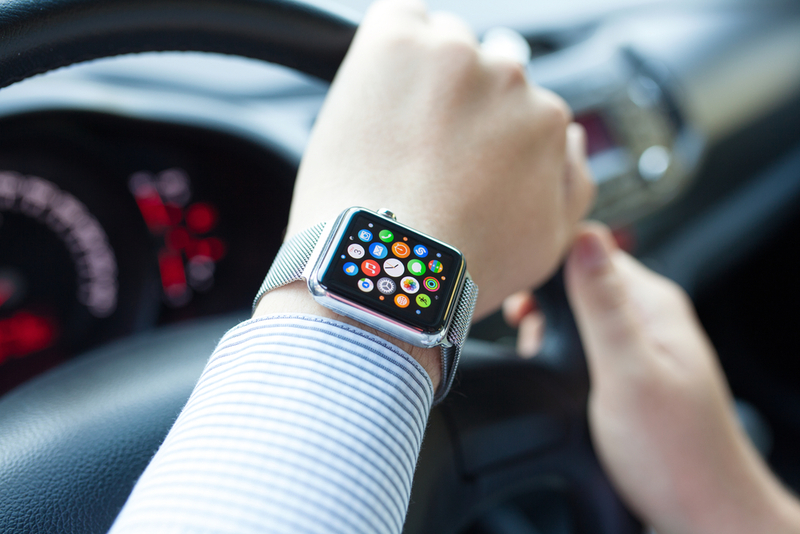 As the highly anticipated Apple Watch has begun to make its debut, automakers are racing to embrace it along with the myriad of other smartwatches and perhaps integrate it as one of the latest ways to make driving easier and to add more appeal for tech geeks. Drivers will know whether their windows, doors, trunk lid and sunroof are closed and the car can also be locked remotely. Ever have trouble remembering where you parked? Through the watch, drivers can be guided to their car in a crowded parking lot. When they’re close, they can use their watch to get the car to beep its horn or flash its lights to signal. Meanwhile, BMW showed off some of the details of its Apple Watch app. It is currently designed to work with BMWs two electric/hybrid cars, the i3 and the i8. Apple even featured BMW as an example of the kinds of apps that their watch will have when the device made its media debut in March, but there haven’t been many details about how it will work until now. Their app will do something very similar to what Porsche’s does but take it a little step further by continuing to guide drivers to their final destination on foot after they have parked their cars and even allow BMW owners to set their car’s cabin temperature through the watch. BMW says its free Apple Watch app, available on Apple’s iTunes store, will cover a number of functions unique to its electrified cars, the i3 electric city car and the i8 plug-in hybrid sports car. It will let users know how much juice is left in their car’s battery and let them know when charging when the car’s battery is at full capacity. It’s telling that the goal for this tech goes beyond the ability to use the watch to lock/unlock the car, it will carry all of the same functions as a set of smart keys, and may come to potentially replace or compliment that tech. Automakers like BMW and Porsche are at the forefront of demand from consumers ready for their cars to become part of their digital lifestyles. 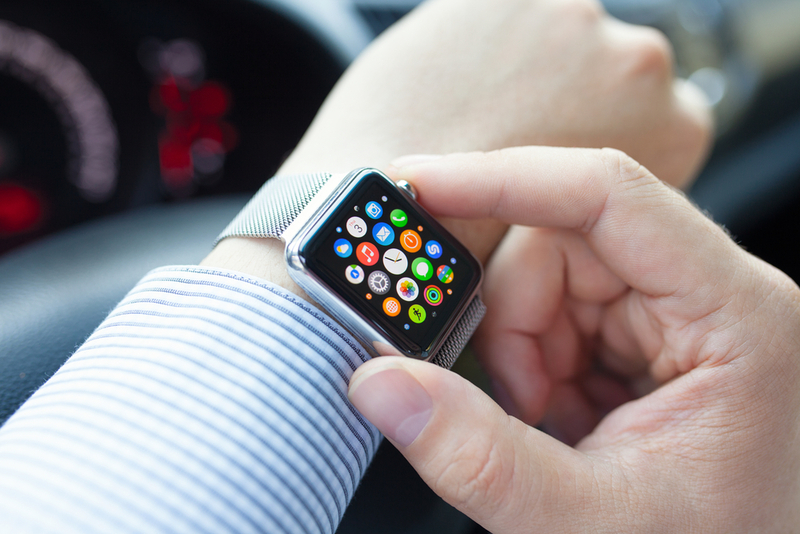 But these two automakers are not alone, as Hyundai sets up to launch an Apple Watch app soon that works in conjunction with its trademarked Blue Link connectivity systems. Also U.S. automaker, Ford has set their sights on this in conjunction with their smartphone and tablet integration. Not to be left out of the market is Tesla. While they have yet to unveil an Apple Watch app, third-party app developers are taking a look at how to develop apps for it and other cars who don’t necessarily have plans just yet. For instance, a Ukraine-based software developer, Eleks Labs, is set on creating an app that will allow Tesla owners to monitor their car’s battery and how many miles of range they have left, lock or unlock doors, switch on the headlights, and also find out the car’s cabin temperature and location. Eleks’ app is developed from a beta version of the Apple Watch, so it is yet to be seen how the final version will turn out. As mobile devices increase their importance in our daily lives, other technologies must adapt and find their place in the digital realm. 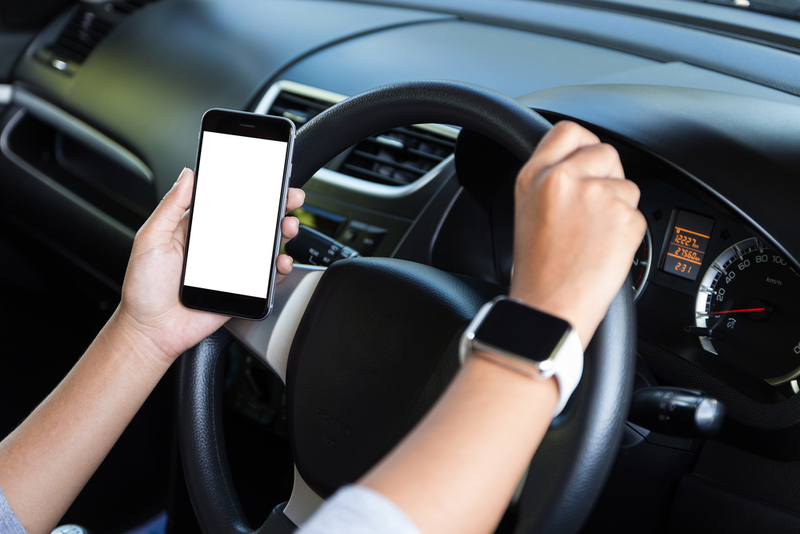 And automakers are no exception, because mobile devices, like the Apple watch (which could go on to replace out phones one day), are here and they are set to be the next big thing in the auto industry.